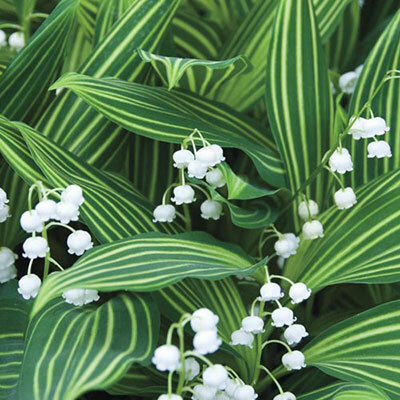 White flowers; beautiful variegated foliage; fragrant. Scarce. 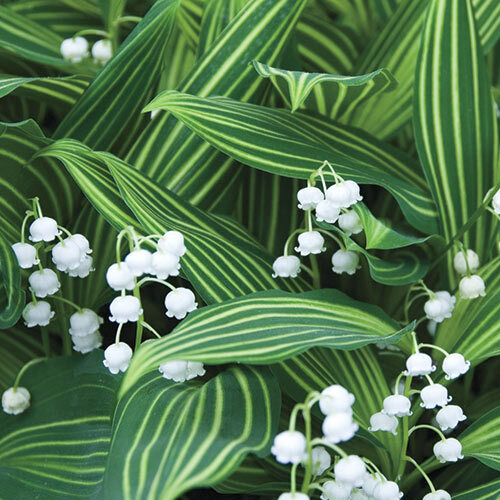 Forms a lush, green carpet with attractive foliage and lovely, fragrant, bell-shaped flowers. Hardy and carefree, thrives even in moist areas where grass won't grow. Although the plant pips may not flower the first season, they will naturalize and multiply in future seasons. 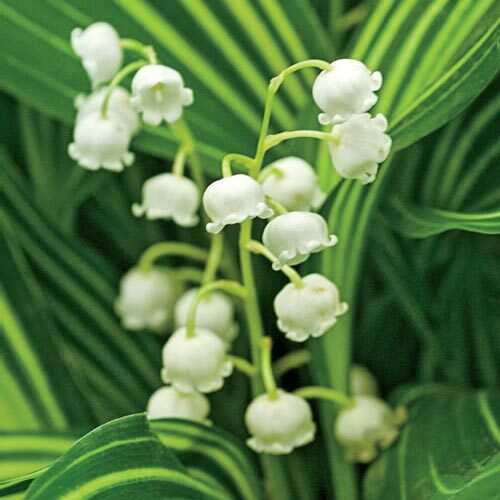 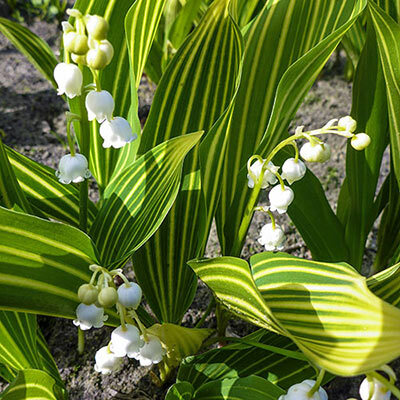 As forcing is a many-step process, Lily-of-the-Valley should either be planted in the garden or discarded after blooms are gone.